I did this raven as a part of a 48 day art challenge and I have to say I just love him. There's something about that look in his eye! 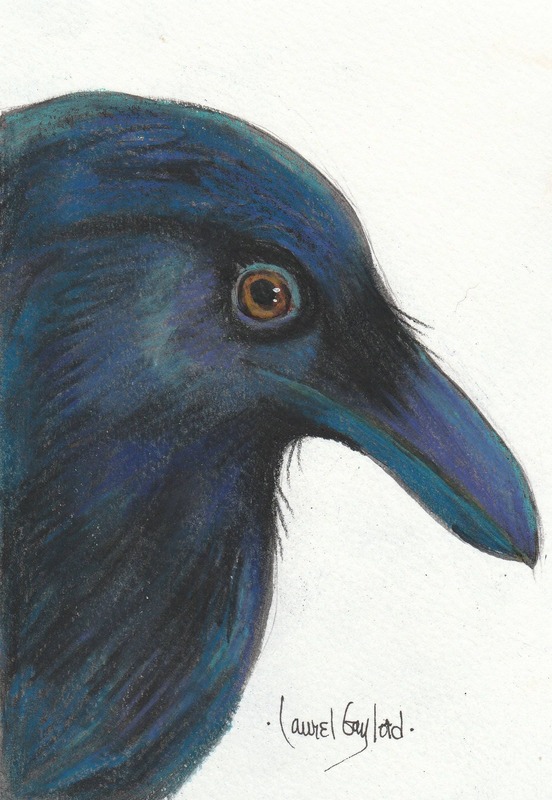 I have painted so many ravens, crows and magpies over the years. Each one definitely has their own personality! The greeting card measures 4" x 5" and comes with a matching envelope in a cello sleeve. Also available as a print.